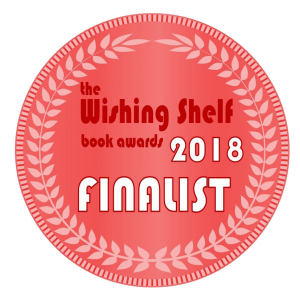 My collection of literary fiction, I Have Demons, is a finalist in the “Books for Adults (fiction)” category of The Wishing Shelf Book Awards. The annual competition is the brainchild of British children’s author Edward Trayer and has, over the past five years, grown to attract hundreds of English-language book submissions each year, from children’s books to adult fiction and non-fiction. The 2018 finalists for each category were announced on 2 February 2019; each submitted book was read and assessed by a group of readers in both London, as well as in Stockholm. The ratings were based on editing, theme, writing style and cover design. In order to become a finalist, the submitted book had to obtain a score of at least 30/40, or 75%. These same groups of readers will now choose the gold, silver and bronze medal winners in each category, including in “Books for Adults (fiction),” where I am honoured to have my first published collection of short stories in the running alongside many talented finalists. The medal winners in each category will be announced on 1 April 2019. One of the exciting aspects of being a finalist or a medal winner in The Wishing Shelf Book Awards is the detailed critical feedback that finalists and winning authors receive from the two reading groups. Equally meaningful is the promotion that the book competition will purchase for all winning books on the www.goodreads.com website and, for the winners, the reception of a specially-designed medal in the mail. 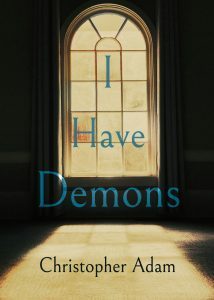 I am grateful that I Have Demons is a finalist and that my book is now in the running. At the same time, I recognize that the competition this year is stiff, especially in the fiction for adults category. Whatever the outcome, it’s rewarding to see that my first stab at publishing a book of short stories seems to be resonating with readers–and across the Pond, no less! You can read more about the Ottawa book launch of I Have Demons here, and see some photos of the event too. For more information on I Have Demons, please visit the book’s page on the publisher’s website.